Sie sind hier: Home | Ausstellersuche | BIOITALIA S.R.L. Bioitalia s.r.l. was born in 1994 from a group of entrepreneurs to manufacture and sell Premium Organic Foods according to the principles of the sustainable development. Our products are certified organic by CCPB and accredited by the most important international organic associations (among them the CNOS, China National Organic standard) and Kosher certified, too. Moreover, we are proud to inform our customers that Bioitalia has recently got BRC certification. 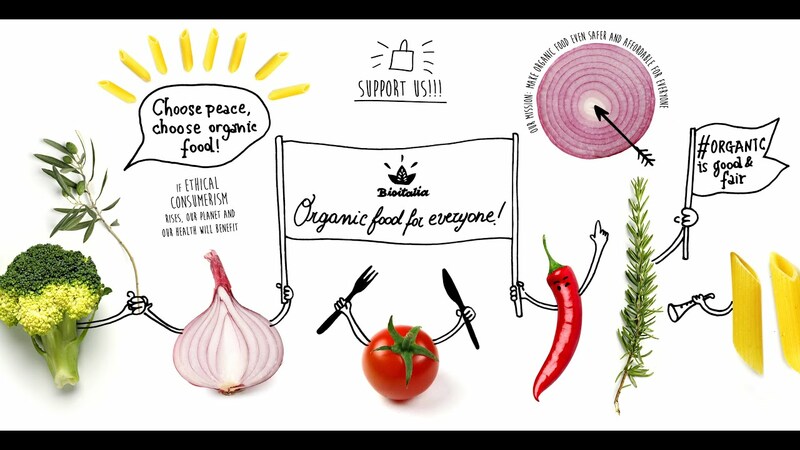 Today, Bioitalia is one of the leading companies in the organic sector and supplies the main distribution channels worldwide with a large assortment of retail and food service products, matching the taste of the Mediterranean diet with the added value of the freshness and healthiness of an organic food. Bioitalia is always committed in offering new products and further guarantees to its customers. the voluntary certification according to the UNI EN ISO 22005:2008 standard to reach the complete Traceability in the Food Chain for tomatoes, wheats and oils. Bioitalia is one the first organic companies to take advantage of this important certification. an extensive assortment of Organic Italian products also including Specialties and unique items from one sole supplier. The tomato manufacturing process is the one of most ancient Neapolitan traditions and Bioitalia is engaged in reaching the highest quality level also in this field, joining technology, cutting edge materials and hand sorting. Starting from the farming soils to the selection of raw materials, to the most suitable transport means to ensure a proper handling and preservation, Bioitalia follows every phase in the production process to guarantee our customers the best organic tomatoes on the shelf: tomato puree, chopped tomatoes, peeled tomatoes, cherry tomatoes…. Eine vollständige und ausgewogene Mischung aus Gemüse (Fasern), Bohnen und Hülsenfrüchten (Fasern und Kohlenhydraten) sowie nativem Olivenöl (gesunde Fette).